There’s nothing better than homemade bread. Am I right? It’s one of life’s little treasures, and a little element of childhood throwbacks for me. There’s nothing like waking up to the smell of baked bread. And if you didn’t know, I’m from the countryside, more specifically the Cotswolds. And I feel like fresh bread in the countryside just has a certain essence to it. I guess it’s the whole locally sourced, just picked this morning kind of idea. And I’m also a huge carb fan, I mean who isn’t? So today I wanted to give you my mother’s not so secret bread recipes to make you breakfasts or lunches that little bit more authentic. 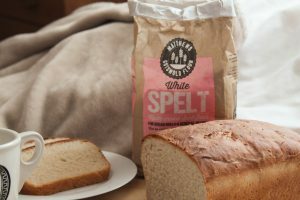 500g white spelt flour – I personally use the Matthews Cotswold flour. It’s made locally to me and I’m a strong believer in supporting your local businesses. Plus everything tastes better when it’s locally sources right? But it’s also really high quality and perfect for bread or most general recipes, and it has that little extra attribute to it as I know it’s local. And you can’t beat a Cotswold-ian homemade goods. This method is very similar to ones you can find on the packages of the Cotswold flour, which I always find super helpful to have those simple steps right in front of you! 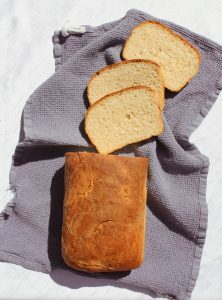 I always thought bread was such a tricky thing to make, but it’s super simple! It just takes an arm workout to make. Place all ingredients a part from the water and yeast into a bowl. Cover the bread and let it rest for 30-40 minutes. Knock back the risen dough and mould into the shape you’d like. Let your bread bake at 220°C for around 30-40 minutes, depending on the size of the loaf. Ta-da! Your own freshly baked bread, fit for any Cotswold carb queen (aka me). This makes avo toast go from 100 to 200 it just tastes so fresh, take it from me! Or it’s perfect for your lunchtime sandwhiches, or even with a little bit of butter on top. If you want to have a crack at making some Cotswold approved bread. Check here to see where you can buy Matthews Cotswold Flour near you! 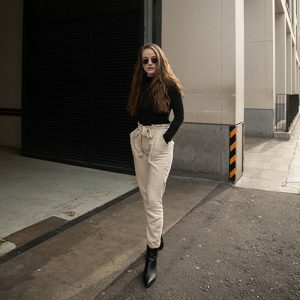 *DISCLAIMER* This post contains products gifted to me. All opinions are my own.